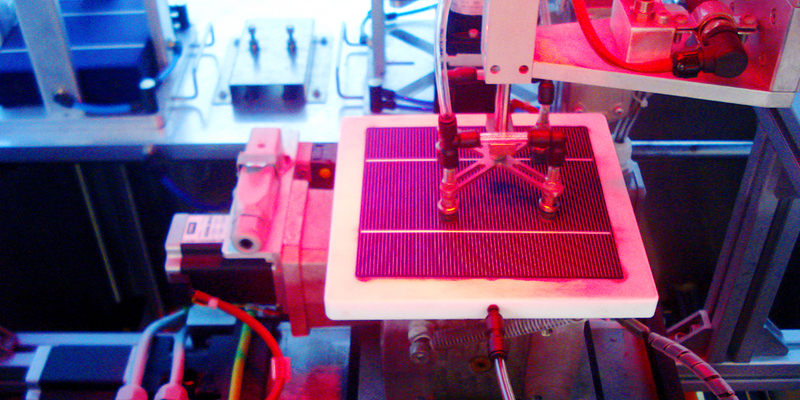 Photovoltaic modules factory – ITER – Instituto Tecnológico y de Energías Renovables, S.A.
Due to demand created by the projects of ITER, a photovoltaic modules factory has been set up which aims to meet not only the institute’s needs, but also to enable the institute to continue and even expand its research activities in the field of renewables. The factory is located within a warehouse 125m long by 20m wide, divided into three sections: one for storing raw materials, a second for manufacturing photovoltaic modules and a third for storing these. Of the 2,500m² total floor space, 1,500 is dedicated to storing raw materials and finished photovoltaic modules, and 1,000 is for production, featuring two assembly lines, north and south. 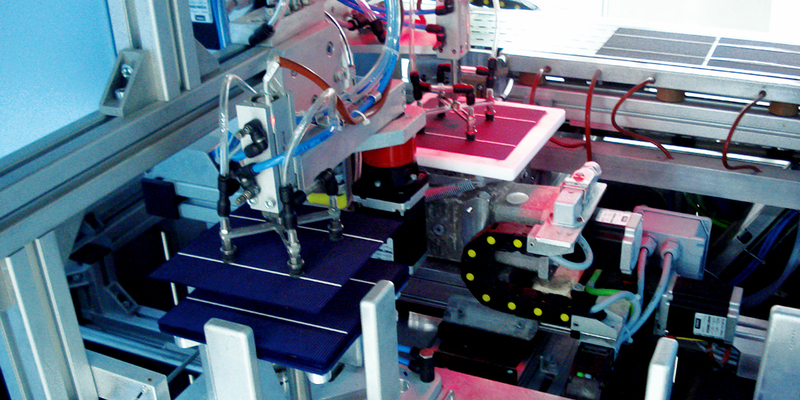 Each line consists of two cell-joining machines, a cell-positioning robot, tables for positioning the glass fascias and for checking the modules, and a laminator. 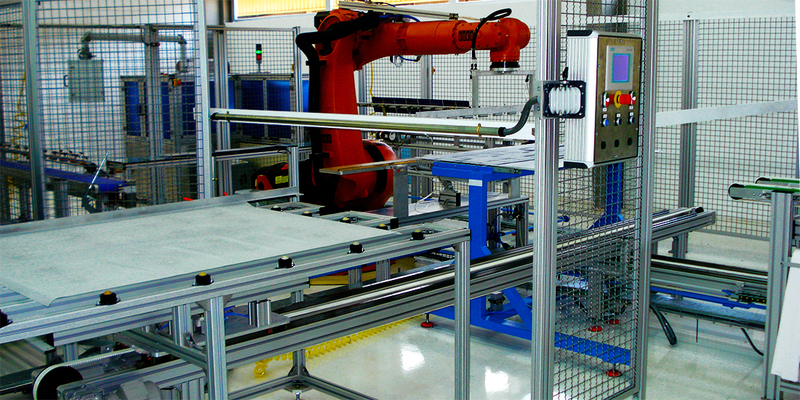 Both lines converge at a machine for testing and classifying the modules, prior to their framing in aluminium and final packaging. 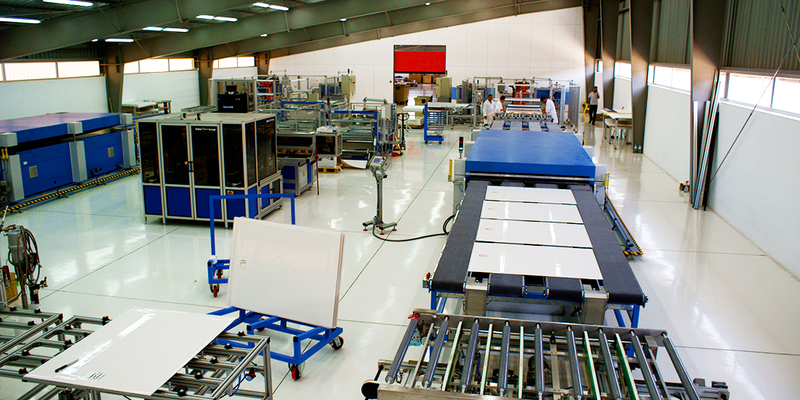 This photovoltaic modules factory became operational at ITER’s facilities in 2008. 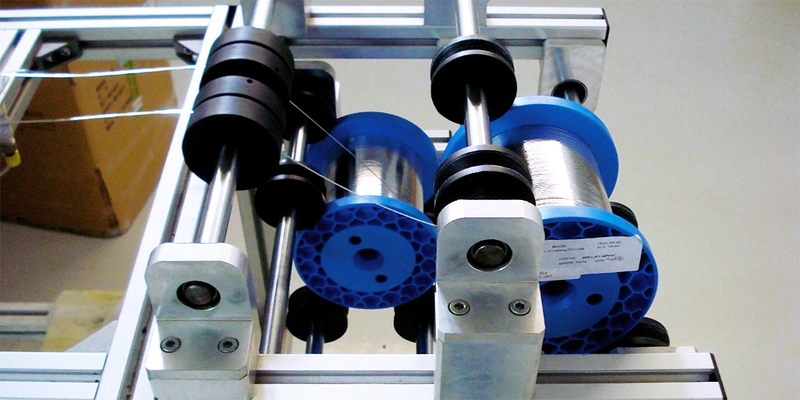 The experience of the technicians and our deepening knowledge of the machinery involved have enabled us to achieve a manufacturing capacity of 60MW per year.